How to Get Rid of Fruit Flies – Fruit harvest season is fun, but this pleasure is also enjoyed by fruit flies. Flies are always present whenever you harvest fruit. Do you feel disturbed by fruit flies? Fruits that are too ripe like bananas are quickly attacked by flies and soon they become rotten. The best way to keep this is to store fruit in a safe place such as a refrigerator or sealed place. But there are traditional ways that are often used to repel fruit flies. Here, I will give you an effective way to get rid of fruit flies from your favorite kitchen. Some of these simple ways make it easy for you to catch fruit flies and keep them away from your kitchen. 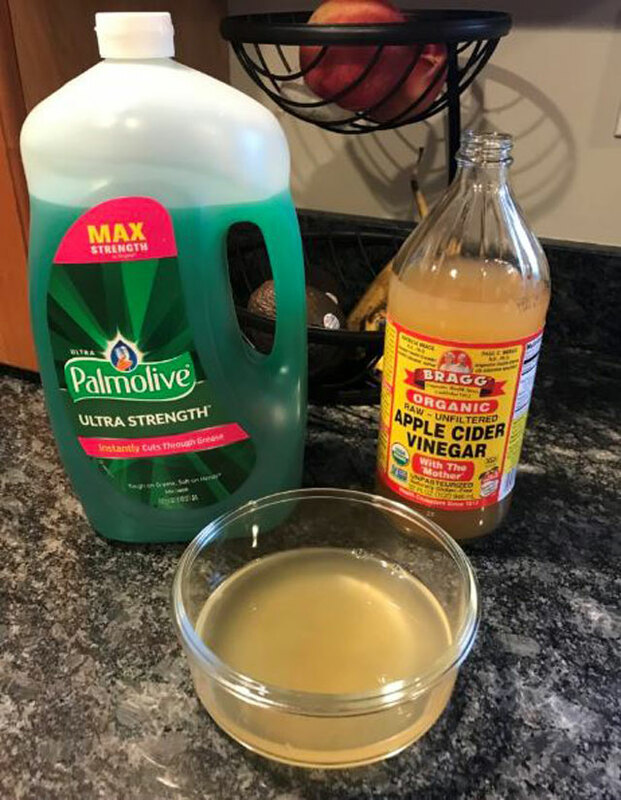 Pour apple vinegar into a glass, then cover the surface of the glass with plastic, and tie it with a rubber band to keep the plastic from falling off. Next, cut off the plastic so that the flies can enter it. The scent of vinegar makes them go there and is trapped because they can’t get out. You will not be able to prevent fruit flies from coming to the end of the summer, flies can always find the fruits you harvest. So, one way to get rid of fruit flies is to make this simple device. This does not look good but is very effective for catching fruit flies that are close to the fruits of your harvest. If the trap is not effective on your fruit fly. Use this method, mix three drops of dish soap in a bowl of apple vinegar, let the bowl open. 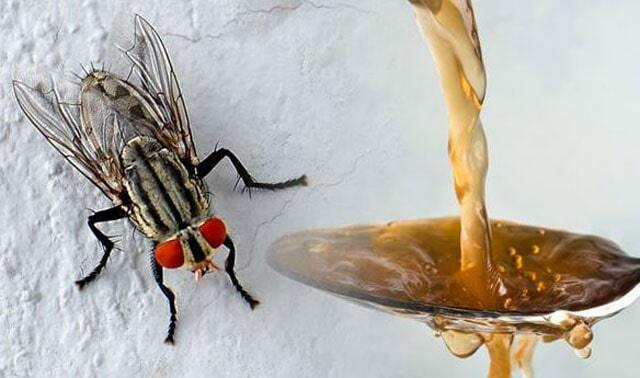 The soap cuts the tension on the surface of the vinegar so that when the fly approaches and wants to go down, it will sink into vinegar. 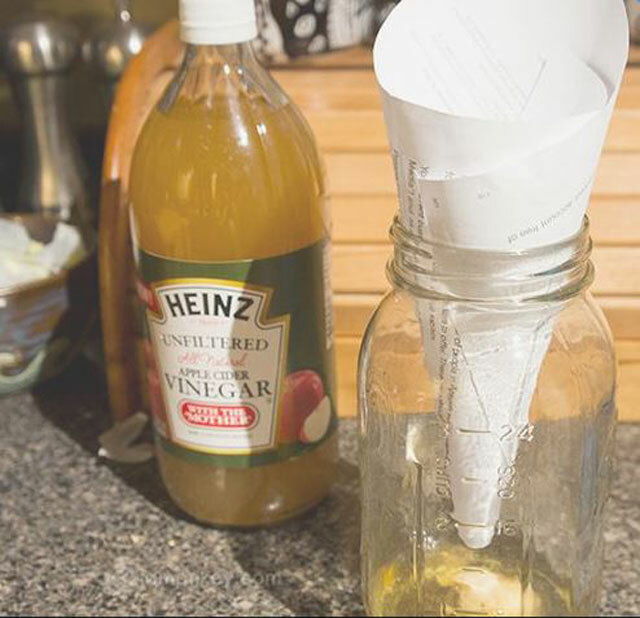 The next way to get rid of fruit flies is to use paper and apple vinegar. Place apple vinegar and a piece of fruit that is completely cooked in a bottle. Then, roll the paper like a cone and place it on a bottle like a funnel. Note, the pointed end is placed down and the wide end up. Fruit flies will enter and they will not be able to get out. These are tips for catching fruit flies described by Everyday Roots blogger Claire. In the Good House Keeping blog also takes such a method and this is considered as an effective way to catch fruit flies. Mix 4 ounces of raw sugar, 2 ounces of ground pepper and half a liter of milk in a pan, simmer for 10 minutes. Pour this mixture into a shallow dish and fruit flies will come and be trapped in the mixture. 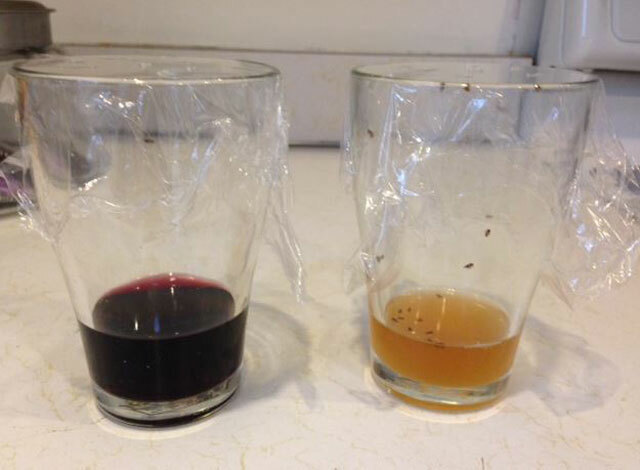 Besides liking the aroma of apple vinegar, fruit flies also like the red wine aroma. You can make traps like the one above by using red wine. This is an effective product to repel fruit flies. In some conditions, this product works more effectively than homemade traps. This is a natural mixture (active ingredients sodium lauril and malic acid). Sold in a jar, you only need to open the top of the jar and place it near the fruit. Flies will come and they are trapped there. This is the same as a trap commonly used for house flies. Hang this trap in the corner of your closet or in a place that often has problems with flies. Not only are flies trapped here, mosquitoes can also be trapped.